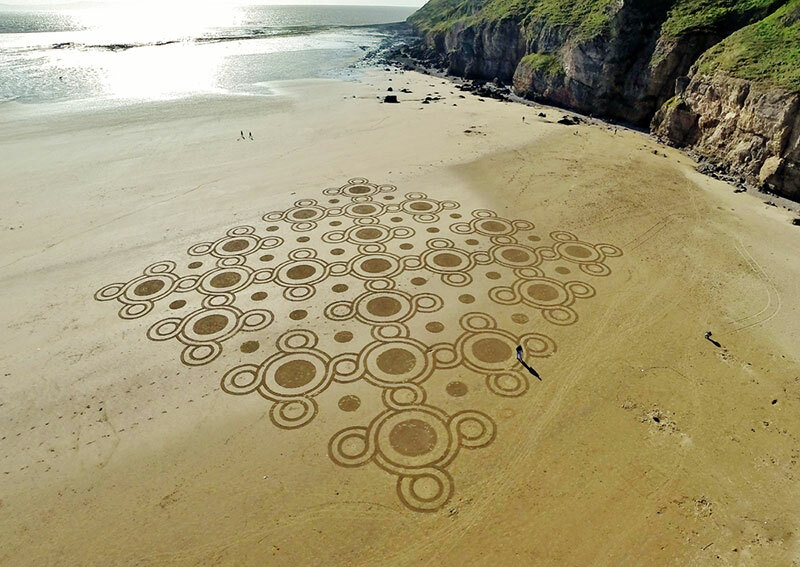 Ephemeral sand drawings by British artist Julian Richardson that disappears as the tides roll in. 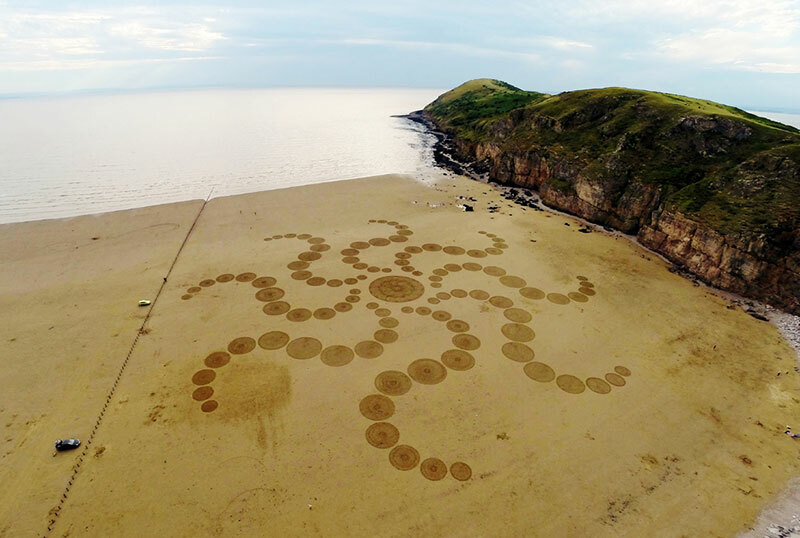 Since 2013, he has created 45 sand artworks on the beaches of England, working within a seven-hour window before the tide reclaims the design. 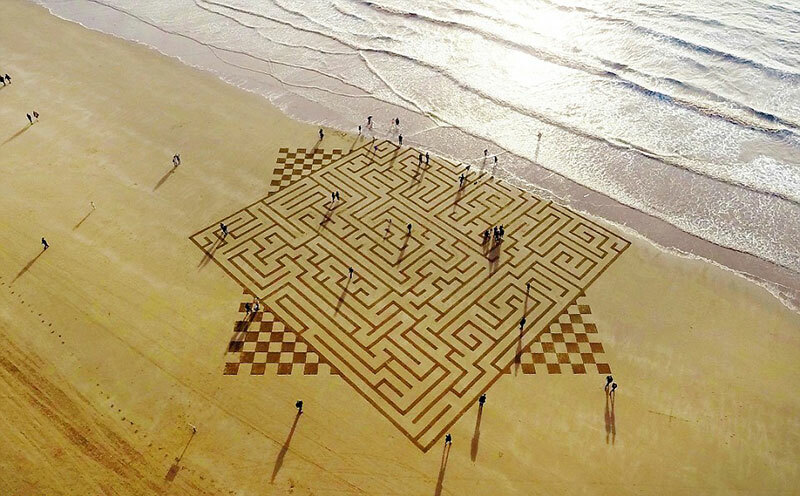 The artwork looks abstract at ground level and has to be appreciated from overhead. 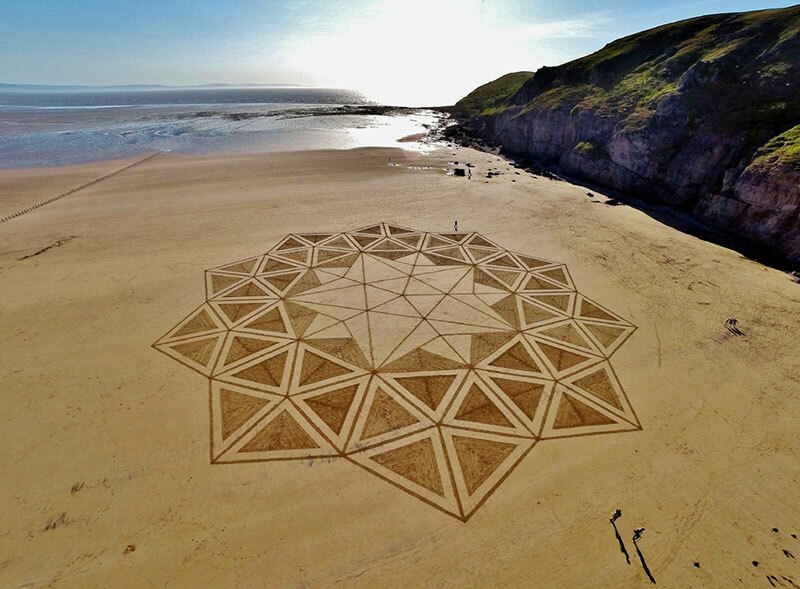 Using a rake, he gently scrapes the top layer of the sand to reveal the darker, wet sand underneath. 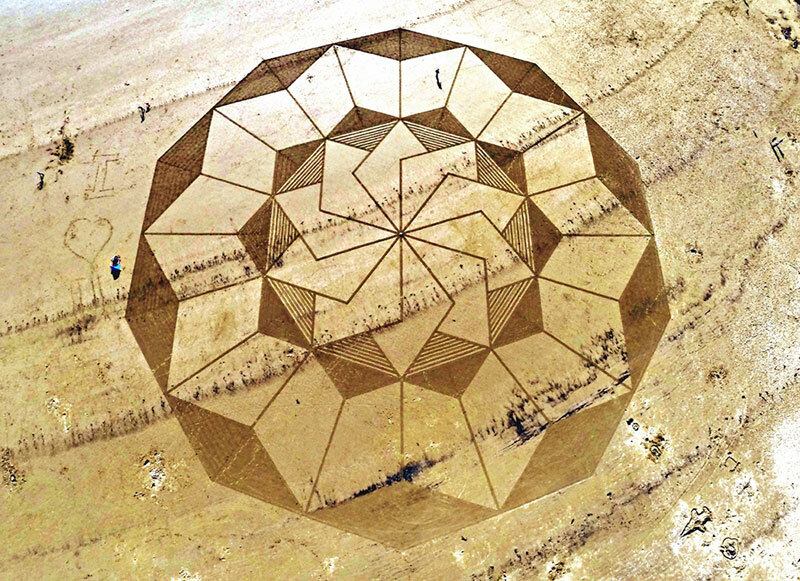 Each geometric drawing measures up to 500 ft. in diameter. Inspired by the op art movement and artists such as M.C. 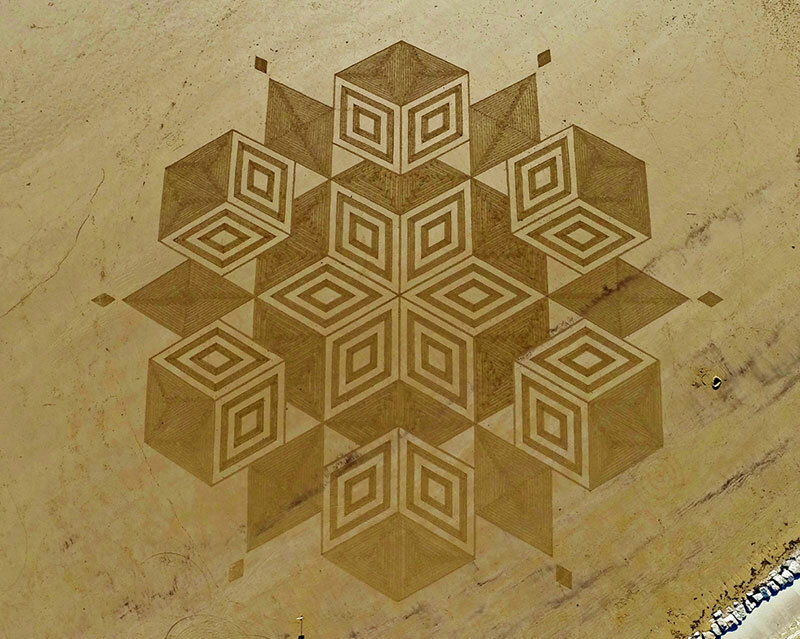 Escher, I am initially a self-taught graphic artist, producing hand drawn geometric pieces. 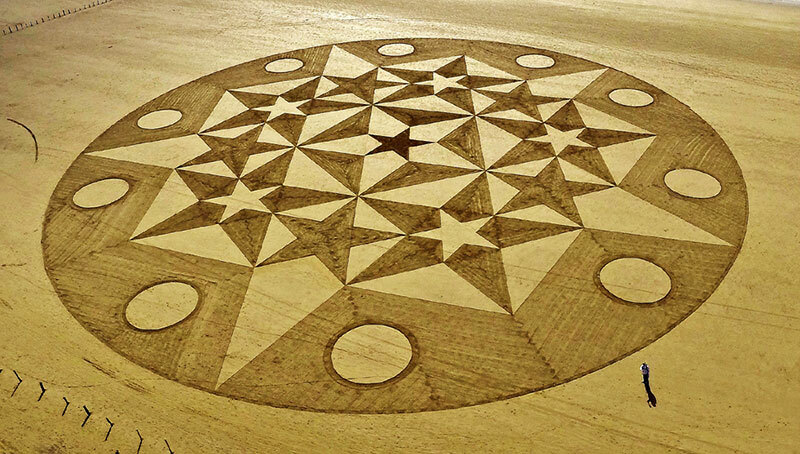 My artistic inspiration comes from a variety of sources – from viewing logos and symbols, to studying the geometric order contained within nature, coupled with numerous hours spent on my drawing board bringing to life the geometric shapes I visualize from within my being. 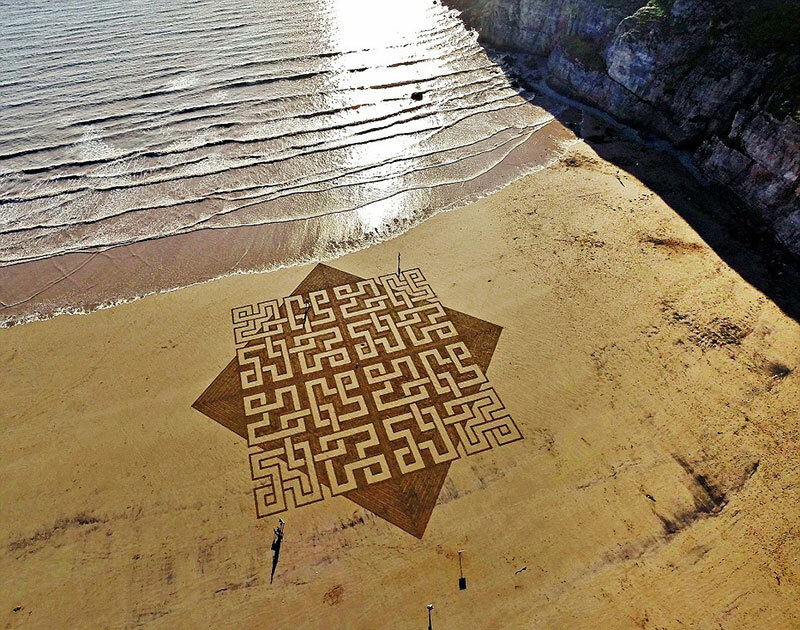 Ephemeral sand drawings by British artist Julian Richardson that disappears as the tides roll in.